Brio's stunning train sets and accessories remain the benchmark against which all other wooden rail systems are measured. 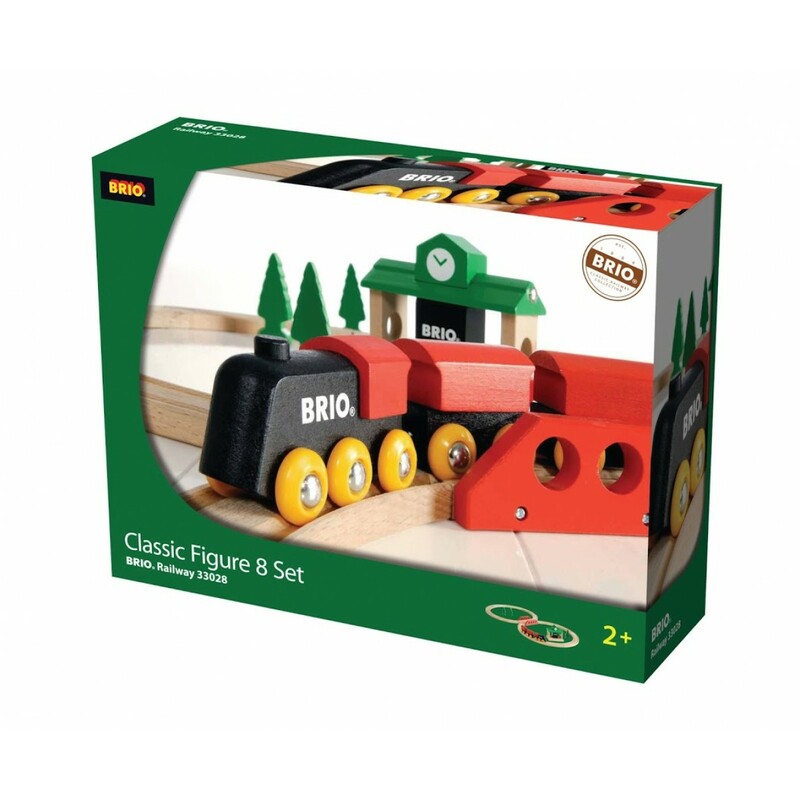 Renowned for their design and innovation, the standards of quality, craftsmanship and old world style have remained a part of the company's ethos since the first Brio products were produced over a hundred years ago. This classic starter set is perfect for any little engineer starting their first rail network. With a stunning traditional engine, a figure of eight track layout and lots of lovely accessories, including a station and a bright red bridge, it's a brilliant way to start any child's railway journey. This is a wonderful first train set, made in real quality and style, that's sure to delight any little driver. Playing with a train set is great for developing motor skills, hand-eye coordination and imaginative play. The Classic Figure of Eight Set is compatible with all Brio railway systems, so you can keep building your set bigger and longer as time goes by.